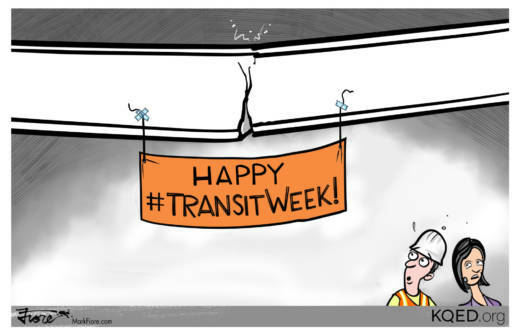 In an uncanny bit of timing, a cracked steel beam led transit officials to close down the new Salesforce Transit Center during #TransitWeek, #Dreamforce and CEO Marc Benioff's birthday. Workers at the $2.2 billion transit center found a crack on a huge stress-bearing horizontal beam that helps support the rooftop park over the transportation hub. While officials closed the Salesforce Transit Center, 170,000 additional people were expected in the area to attend the cloud computing "Dreamforce" conference.